This 50 minute luxurious treatment includes a thorough cleansing of the skin, , enzyme exfoliation, extractions and hydrating mask treatment. 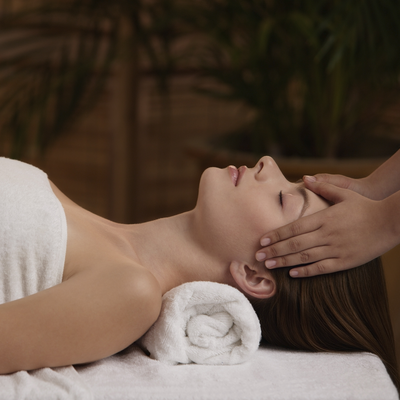 Included in this pampering treatment is a hand and arm massage, facial massage and neck and scalp massage. This will leave your skin looking rejuvenated and brighter. Dermaplaning much like microdermabrasion is an exfoliation treatment which leaves your skin fresh, polished and feeling rejuvenated, allowing products to penetrate deeper, and makeup to be applied smoother. During a Dermaplaning treatment, a small hand held tool is used to gently scrape away the outermost layer of dead skin cells, also removing any vellous hair (peach fuzz) from your face. Microneedling (also known as collagen indu​ction therapy) is a minimally invasive treatment to rejuvenate the skin. After applying a topical numbing to the treated area, a hand held device with fine needles creates tiny punctures in the top layer of the skin. This controlled wound triggers your body to produce growth factor cells, essentially strengthening your collagen and elastin. Results can include improved texture and firmness, as well as a reduction in scars, pore size. This treatment is recommended in a series for best and maximum results. The treatment has simultaneous actions; it exfoliates and draws impurities out of the skin while introducing vitamins, enzymes and nutrients into the skin. This is an excellent treatment for smokers as it stimulates circulation, promotes healing and provides vitamin nutrition. This treatment is also great for smoothing the skin, as the naturally occurring salicylic acid in pumpkin removes the dead surface cells that cause rough texture. The skin will have a healthy glow following this treatment. Do You Have? Dull skin, hyperpigmentation, enlarged or clogged pores or rough skin texture? Diamond Microdermabrasion is a gentle exfoliation to reduce the appearance of fine lines, wrinkles, uneven pigmentation and uneven texture including acne scarring. One of the many ideal skin treatments for anyone experiencing back blemishes and skin imperfections, and a wonderful service to receive before any special occasions such as proms or weddings when the back will be exposed. Includes deep cleansing, exfoliation and extractions, followed by a mask. 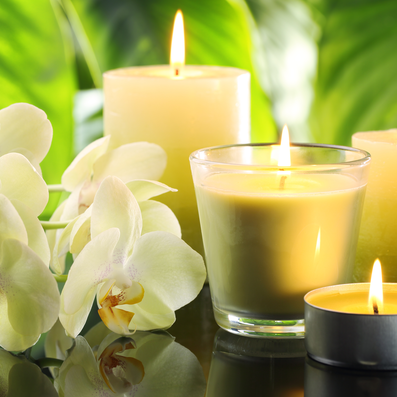 Enjoy a massage as a soothing finishing moisturizer, applied to leave the back looking refreshed and revitalized. Featuring Skin Script Products - Your Prescription For Skin Care.